Neuroscientists have recently released some exciting news that will change the way we look at the human brain. A new discovery has been made revealing that the human brain owns structures and shapes that own up to eleven dimensions. The scientists say that they have found a world that they could never have imagined. Through the usage of Algebraic topology, structures and multidimensional geometric spaces have been discovered in the networks of the human brain. Human brains are estimated to contain an average of 86 Billion neurons, each cell has several connections connecting and expanding in every direction conveying an incredibly vast cellular network that amazingly permits us to think and achieve consciousness. extremely complex tasks, scientists have used computer model display methods. In their study, scientists reveal how structures are formed at the same time that they are interlaced in a “unity” that creates a precise geometric structure. One neuroscientist who is the director of Blue Brain Project in Lausanne, Switzerland was interviewed and quoted as saying: “We have found a world that we had never imagined before. We’ve uncovered tens of millions of these objects even in a small speck of the brain, up through seven dimensions. 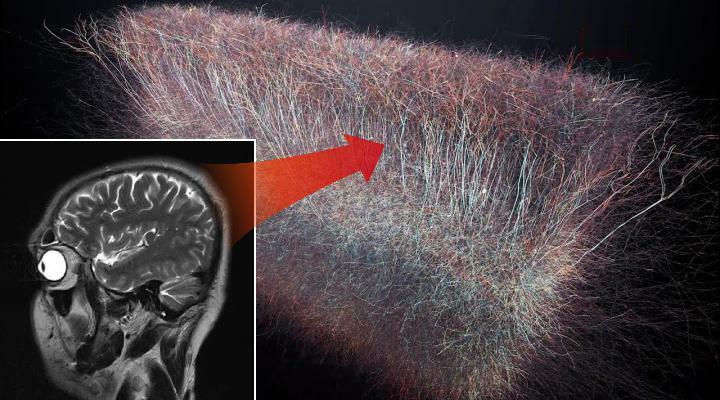 However, in some networks, we even discovered structures with up to 11 dimensions.” All neurons within our brain are enabled to interconnect to an adjacent one, in a precise way; in order to form an object with intricate connections. “The space is simply the combination of all the degrees of freedom the system has, and its state represents the values these degrees of freedom are actually assuming.” Proof of this research was published in Frontiers in Computational Neuroscience.